Recently I was sent these lovely soaps! I am not much of a block soap user, I prefer a body wash. However, as soon as I opened the parcel this was sent in I needed to try these! When I opened the parcel I smelt this amazing mint and lemon scent! 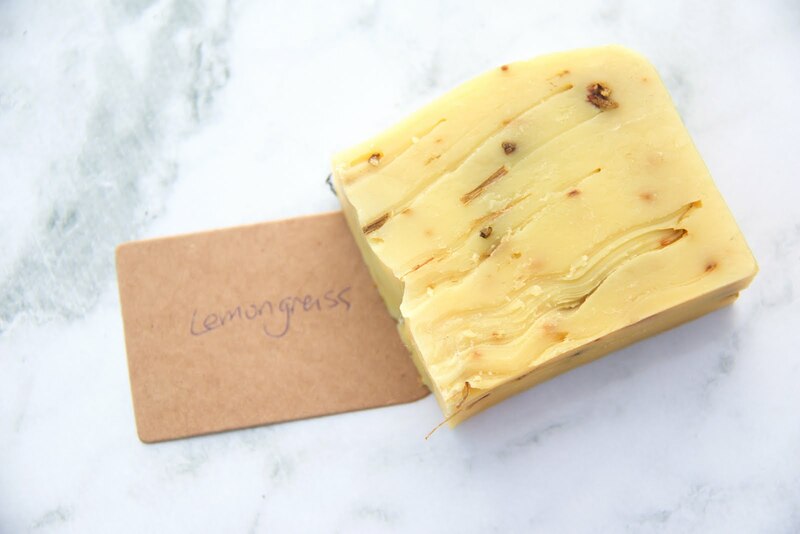 I quickly took some photos and chucked the lemongrass soap into the shower as it was my favourite of the scents! That night when I went for a shower I tried out the soap! It is so moisturizing and soft! The scent also lasts on your skin which is so amazing! Sparrow Soap is run by a lovely woman named Erin! She is so nice!! She hand makes all of her products and she lives in Perth, Australia. 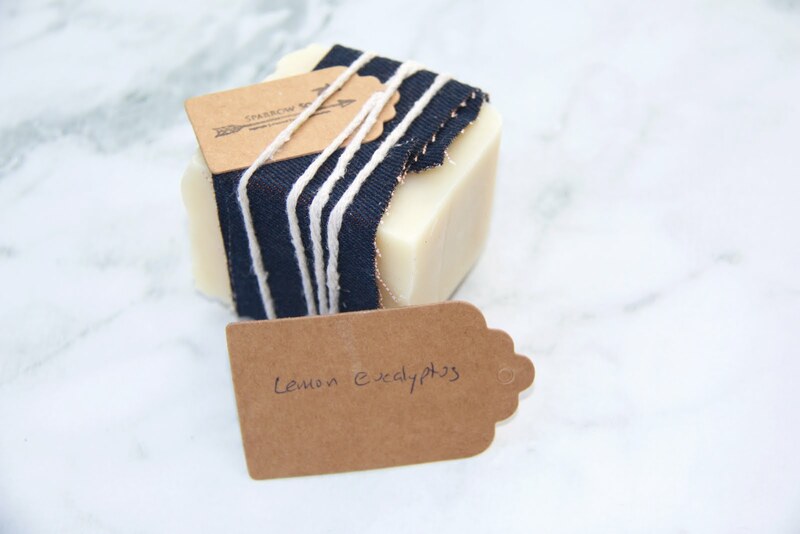 All her soaps are vegan and contain no added preservatives or chemicals. 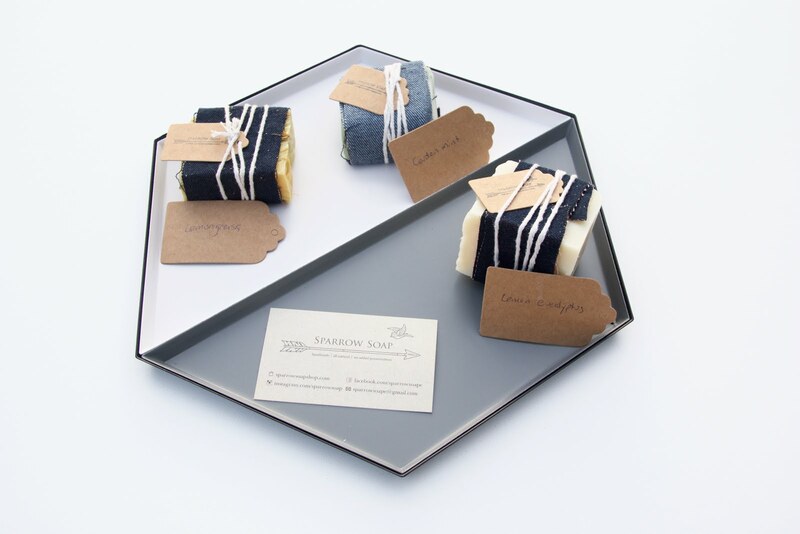 Sparrow Soap has a wide range of soaps and also have washing goo, bath salts and coffee scrubs. There is a scent for everyone. 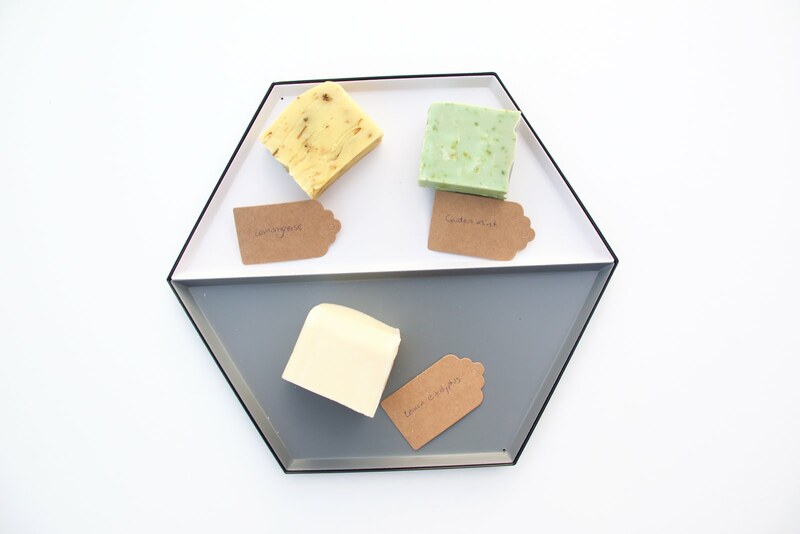 There is a bloke soap, a shaving soap, a fragrance free soap and many soaps with delicious scents! The three soaps I have are lemongrass, garden mint and lemon eucalyptus. My favourite scent is the lemongrass. I do love how soft and moisturizing the lemon eucalyptus soap is! You get a decent size soap for the price! 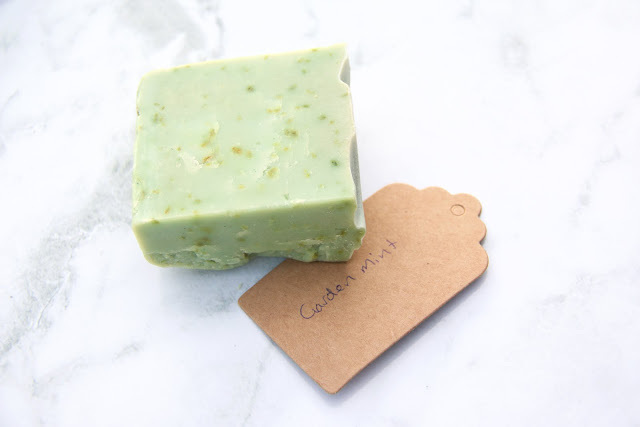 These are very cheap, the lemongrass and garden mint soaps are $4 each. 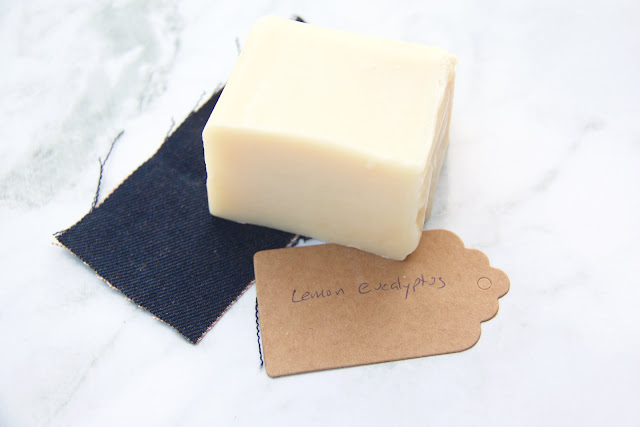 The lemon eucalyptus soap is $8 as it is bigger. All of these soaps are very affordable, the soaps range from $4-$15. While the washing goo is $25 and the bath salts and coffee scrubs are $15 each. I love they way these come packaged! They are in a brown bag with the Sparrow Soap logo on it. 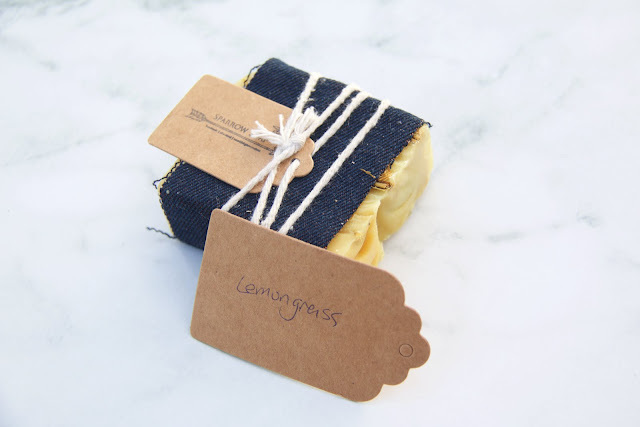 Inside, the soap is wrapped lovely in denim and string with a little tag stating which soap it is. I highly suggest giving these soaps a go! How can you not when the price is so cheap!? These soaps are absolutely amazing and I will be purchasing more. I highly recommend them to anyone that loves soap or even to people like me who like to stick to body wash but are happy to give anything a go. 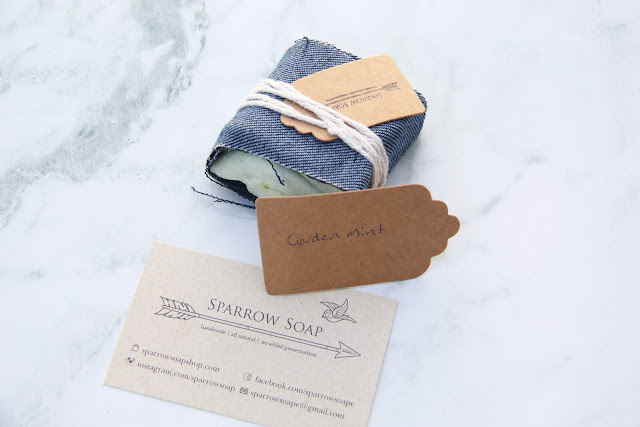 If you're hung up on wether you should try these soaps or not just go over to the Sparrow Soap website or their Instagram (which has amazing photos regardless if you are purchasing the soap or not) When you see all the other soaps and products that are available you will want to get your hands on some! Do you like using block soap?